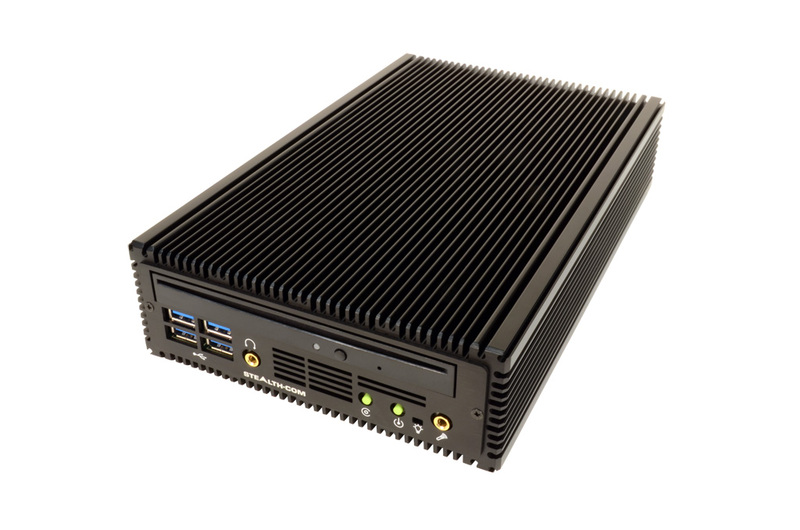 The newly released powerful fanless small pc model LPC-480FS is a highly reliable, silent/quiet, energy efficient, rugged small PC designed for a large variety of demanding applications. 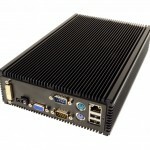 The LPC-480FS fanless pc is a powerful diminutive computer that operates without noisy cooling fans which could draw in dirt and dust potentially causing catastrophic failures. 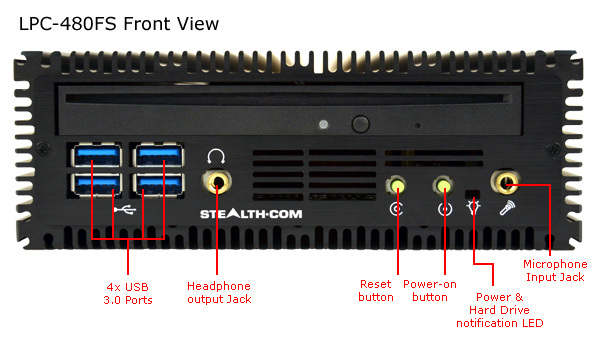 The fanless computer is encapsulated in a rugged extruded aluminium chassis performing as a heat sink to dissipate heat build-up. Its sturdy small size (only 6.1″ x 10.0″ and less than 2.17″ in height) and fanless design make it ideal for space challenged applications. 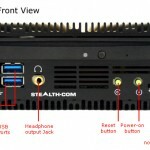 This fanless small pc is powered by a powerful Intel B840 mobile processor and features a multitude of I/O connectivity built directly into its impressively small design such as; Gigabit LAN, 4-USB 3.0, 2-USB 2.0, 2-Serial/RS232, Intel HD3000 graphics, Audio In/Out and 2-PS/2 ports. The LPC-480FS also supports up to 16GB of DDR3 SODIMM memory and has SATA III support. 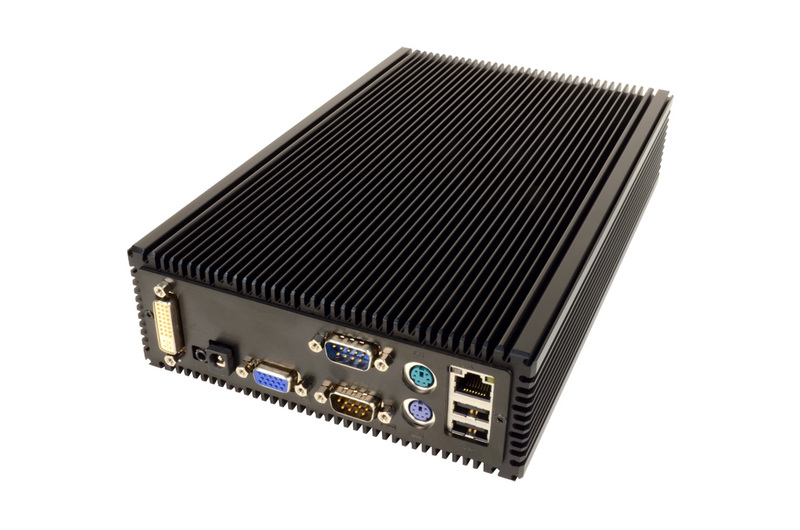 The LPC-480FS fanless pc also ships standard with a 128GB solid state drive (SSD) providing for superior operating speed and protection against vibration and shock. Systems are compatible with Microsoft Windows 7, 8, XP, Embedded and Linux and can be custom configured to meet the exact needs of the OEM or end user. 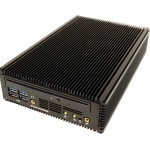 Configurations of the LPC-480FS powerful fanless small pc start from $1395.00 USD and it is available and shipping now. 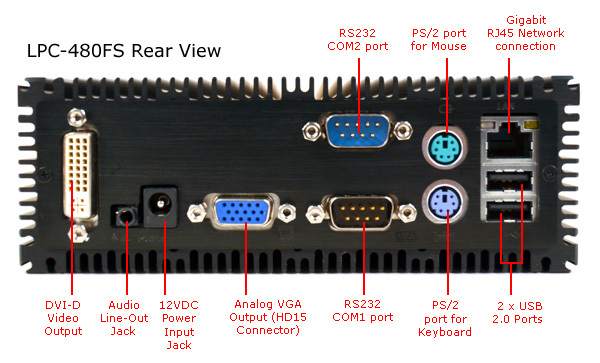 Ideal applications for the LPC-480FS include Embedded Control, Digital Signs, Kiosks, Mobile Navigation, Thin-Clients, POS & Human/Machine Interface are just a few. For more information including detailed specifications on the LPC-480FS, click here. For pricing and to get an online customized quote for the LPC-480FS, click here. 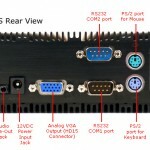 © 2019 Smallpc.net. All Rights Reserved.